Most horror movie fans will agree that Steven Spielberg’s Jaws is one of the genre’s greatest films of all time. Masterfully utilizing suspense, the film’s shark is only shown on screen in a limited capacity, and the end result is a horrifying film experience. From the dreadful moments when viewers are just waiting for the shark to attack, to the epic conclusion leading to its demise, this film remains one of those classics that still keeps viewers on the edges of their seats. But even though nobody out there wants to see this film tampered with, one of its lead actors, Richard Dreyfuss, feels the time is right to update the film with CGI. In a recent interview, Richard Dreyfuss opened up about his feelings on the film’s mechanical shark, noting it looks dated compared to today’s special FX. 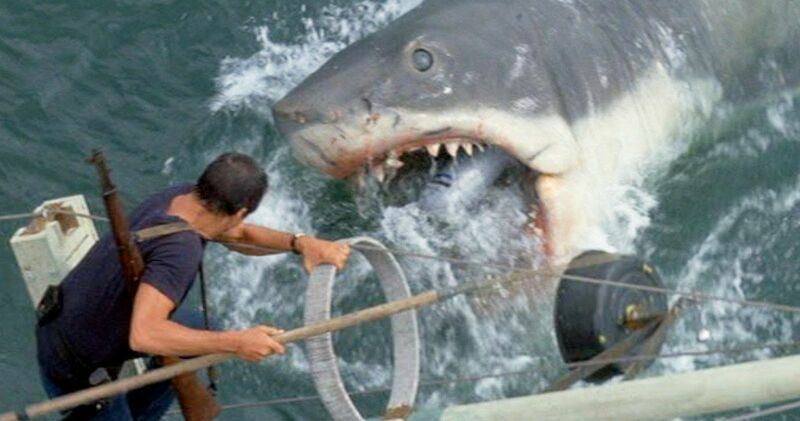 With the idea of re-releasing an updated version of Jaws for today’s audiences, Dreyfuss is suggesting a digital FX team insert a CGI shark into the film. The actor doesn’t mention any changes he’d like to see beyond simply replacing the iconic shark with one created on a computer, feeling unimpressed with the way the sea creature looks nowadays compared to the rest of the scenes in the film. It seems Dreyfuss is fully aware of the negative reaction many fans of the film would have to this idea. “Blasphemy” is definitely one word most people will think of as soon as they learn about the actor’s idea. After all, if the original film is considered to be flawless, why mess with a winning formula? From Dreyfuss’ point-of-view, however, the shark just doesn’t look very good, and the movie could be improved upon by digitally inserting one that looks different. The consensus from the fans of the film seems to be that this is a terrible idea, but the point Dreyfuss is making is that this change wouldn’t be for them. Hopefully, the actor is reasoning, updated graphics will interest today’s younger filmgoers who may not have seen the aging film. Oddly enough, Spielberg has originally intended to show the shark in Jaws much more than what wound up being seen. The film shoot was plagued with problems, which included the mechanical shark malfunctioning during production. Production would be delayed repeatedly because of the shark sinking, among other problems, leading to a massive decrease in screen time for the prop nicknamed “Bruce.” This was a blessing in disguise, as the absence of the shark only adds to the suspense that has earned the movie so much praise from critics. Adapted from the Peter Benchley novel of the same name, Jaws became a smash hit at the box office, breaking many records in the process. Even with dated effects, altering a classic in such a way would most certainly be a controversial decision. After all, Star Wars fans might recall when George Lucas gave those classic films a modern update in the ’90s, which wound up being heavily criticized. Dreyfuss’ words were originally printed at Deadline.